Here am sharing a very filling and tasty sandwich recipe / brunch recipe dedicated for all busy moms. The sandwich maker recipes are just as simple and humble as the commercials make it look. This magical healthy breakfast ideas are very much helpful for those who hates making breakfast every morning. More over , if any one feels that it is very hard to make your toddler to finish everything on the plate without compelling, give this a try. I fed up in searching google for toddler food ideas / toddler meals. 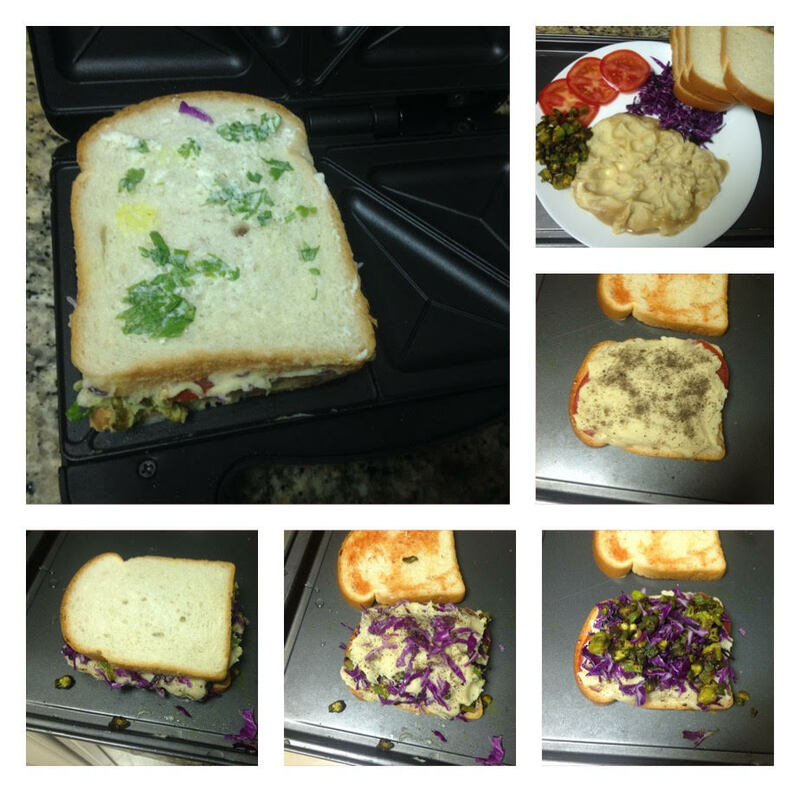 Now am really happy with my sandwich maker that i can put those food for toddlers within two slices of bread. How simple it is!!!!! 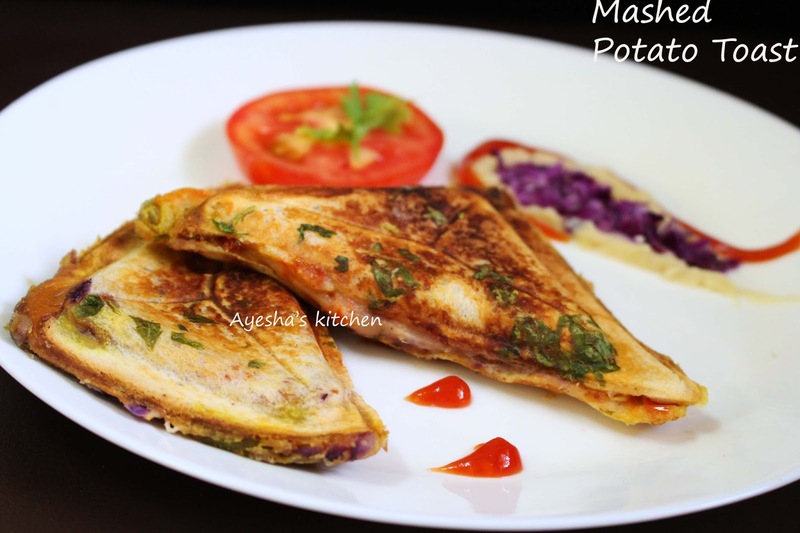 So this time am sharing the recipe of healthy lunch ideas for kids (school going). A complete healthy snack box for kids with mashed potatoes, cheese, butter and veggies. Kids love simple mashed potatoes recipes. If your kid thinks that vegetables are just the yucky stuff, then surely you must try out this sandwich recipes / ideas for kids. This is the way i used to make my kids eat to get the good stuff. Now we both are happy (me and my school going kid). As she loves creative in presentation, i put my complete effort to make her eat without compelling and she used to do so. Here is the recipe for vegetarian sandwiches for kids / veg sandwich recipes with mashed potato. Do try and make your cuties happy. MASHED POTATO RECIPE : Boil 2 medium sized potatoes in a pot of hot salt water and cook until it is tender. Remove the skin and mash it well and set aside. Heat butter(50 g) and a cup of milk in a sauce pan. Whisk well until the butter is melted over a low flame and when done add the mashed potato slowly. Blend it well until smooth and creamy. The excess can be stored in an air tight contain and keep refrigerated for two days. Very good healthy recipe for kids. Spread tomato ketchup over one side of each bread slice. Now spread 2 tsp of mashed potato over a bread slice. Then add a tsp of stir fried veggies and grated cabbage. Again spread a tsp of mashed potato if required. Cover it with another bread slice. Spread butter over the bread slice generously and some chopped coriander leaves and place the buttered side down on the sandwich maker. Spread butter on the other side along with chopped coriander leaves.